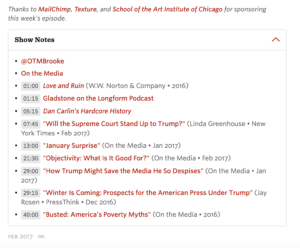 I started listening to the Longform Podcast today and I noticed that they had this section underneath the player. It’s similar, in functionality, to what you can do on YouTube by linking to specific points in the video, but it takes it further by providing direct links. 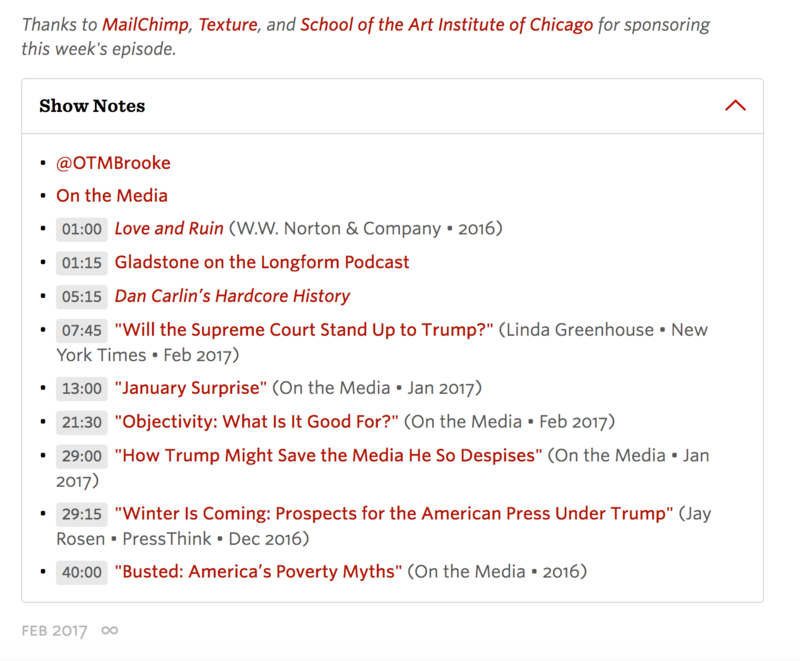 It’s footnotes for the Web and I think it’s an ingenious way to help a listener focus on the podcast.